Since October 2011, the average new home sale price is higher by 6% nationwide, a trend that should continue in Seattle through the end of 2012 and into 2013 — especially with mortgage rates at new all-time lows and home affordability at all-time highs. 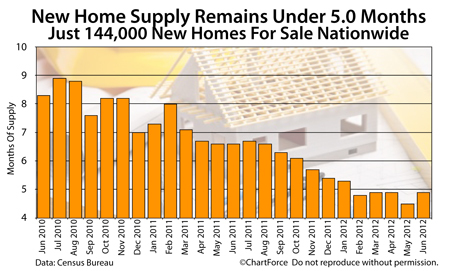 As more buyers enter the market amid limited supply, prices are expected to rise. Tuesday, the National Association of Homebuilders reported its monthly Housing Market Index (HMI) at 41, a one-tick improvement from September and the highest HMI value since June 2006 -- a span of 77 months.